Flanker Jeandré Rudolph will lead the iCOLLEGE Pumas for the first time when they meet the Valke in their last round robin fixture of the SuperSport Challenge in the Bill Jardine Stadium in Johannesburg on Sunday. Rudolph is an accomplished leader who has captained both the Leopards and the Pukke’s Varsity Cup team with distinction. With regular captain Hennie Skorbinski not available for this clash the Pumas’ brain trust had to pick a new midfield combination as well. 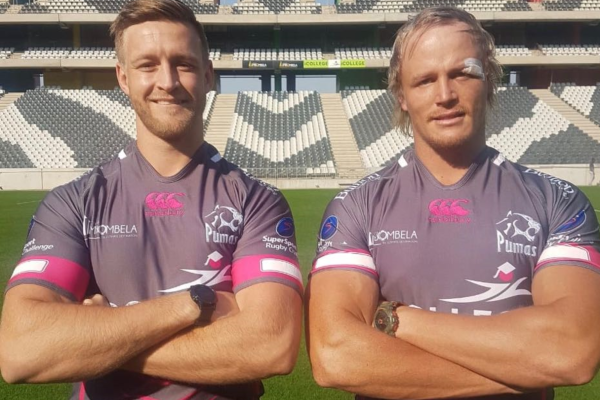 Henko Marais, another former Leopard and the former Boland captain Ryan “Whitey” Nel will get a start. Nel hasn’t had a run this year but is back to full fitness. Abrie Griesel is the new scrumhalf in the team with Stefan Ungerer on the bench. With the A team back in action there are only four survivors in the Starting line-up that played against Welwitschias, fullback Devon Williams, flyhalf Christopher Smith, number eight Willie Engelbrecht and lock forward Le Roux Roets. iCOLLEGE Pumas vs Valke: Devon Williams; JP Lewis, Ryan Nel, Henko Marais, Ruwellyn Isbel; Christopher Smith, Abrie Griesel; Willie Engelbrecht, Nardus van der Walt, Jeandré Rudolph ©, Hugo Kloppers, Le Roux Roets, Marné Coetzee, Marko Janse van Rensburg, De-Jay Terblanche. Reserves: Simon Westraadt, Louis Albertse, Cameron Lindsay, Hilton Lobberts, Stefan Ungerer, Justin van Staden, Barend Smit.